Preheat oven to 160°C (325°F). Place the nectarines in a bowl with the caster sugar and toss to coat. Add the amaretti, butter and egg and mix to combine. Place the mixture in a lightly greased 20cm fluted tart tin and bake for 35–40 minutes or until golden. 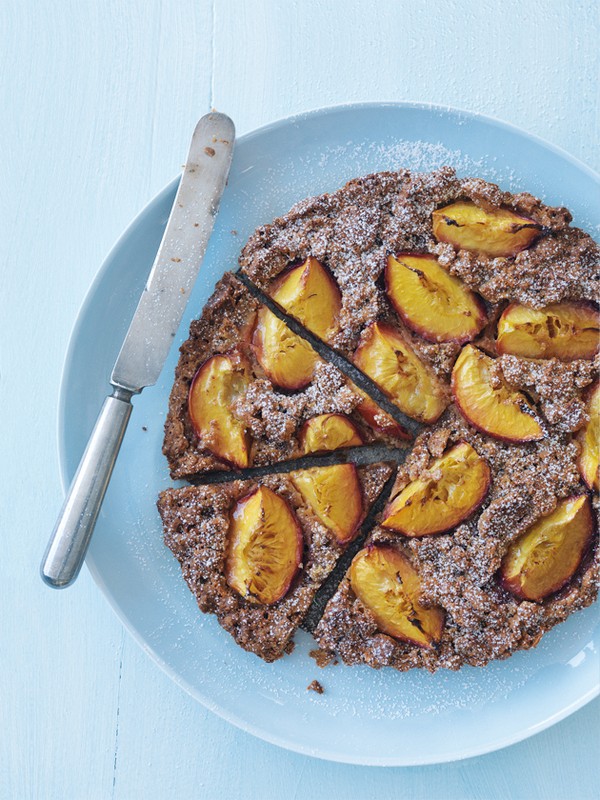 Dust the tart with icing sugar, slice and serve with double cream or vanilla ice-cream. Serves 4.